Brand Networks delivers ad tech and services to hundreds of customers, including 14 of the 25 biggest US companies ranked in the Fortune 500. The Brand Networks Platform helps marketers effectively plan, optimize, and automate social ads and content. With Brand Networks, you deliver more ads on Twitter, faster. You will learn from every ad you run by instantly structuring A/B tests. Its Open Signals API triggers automated paid content based on any data source, and optimizes live ads based on real-time performance data. Brand Networks also enables you with Iris, the first and only AI-based platform for social advertising. As a virtual assistant, Iris brings intelligent automation to media buying, saving media analysts an average of eight hours per week. 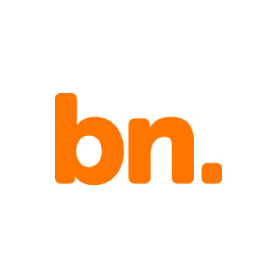 Brand Networks was founded in 2006 and is headquartered in Boston with offices in San Francisco, New York City, Rochester, Los Angeles, Chicago, Dallas, Detroit, and Sydney. Access real-time reporting, deep-dive insights, and the most innovative paid and organic content automation system on the market. Test ad creative and targeting quickly and effectively to drive insights in either direct response or brand campaigns. Unleash precision advertising at scale. The campaign used the Video Website Cards at any Twitter user falling into the client’s target age demographic.